George Mendonsa survived some of the hardest fought naval battles of World War II. And when the war ended, he was captured in a photo that will survive forever. The immortalized moment featuring Mendonsa on Victory over Japan Day is widely considered to be one of the iconic photos of the 20th century, a symbol of national relief and pure ecstasy. Life Magazine’s photographer, Alfred Eisenstadt, captured the image, while Navy photographer Lt. Victor Jorgensen also caught the moment in a widely published variation. But neither photographer stopped to get the names of of the sailor or the woman in the image. 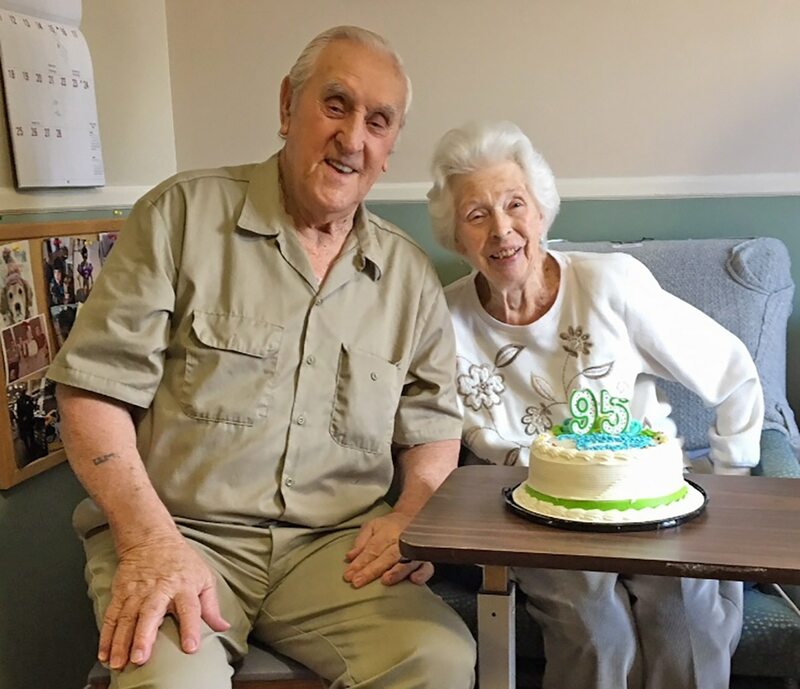 Mendonsa recently celebrated his 95th birthday surrounded by family and friends at the assisted living center he and his wife Rita now call home. It was the day that World War II ended and Navy Quartermaster 1st Class George Mendonsa was about to catch a train back to the West Coast and his ship, the destroyer The Sullivans. It was then he and his wife, Rita, heard the announcement that the Japanese had surrendered and New York City was going Mad. In a moment of relief and thanks, George saw a woman in a nurses outfit, grabbed her and kissed her. Life photographer Alfred Eisenstadt and Navy photographer Victor Jorgensen, only a few feet apart, both captured the moment -- and the rest is history. Mendonsa and Greta Zimmer Friedman, the other half of the brief romance, were proven 13 years ago through forensic science to be the pair in the image. Friedman passed away in September 2016. Mendonsa served onboard the destroyer The Sullivans during World War II, where he was part of the commissioning crew. He also participated in the commissioning ceremony of the newest rendition of The Sullivans, which is homeported in Mayport, Florida. A professional civilian sailor before the war in his Newport, Rhode Island-based family business, Mendonsa quickly rose to the rank of quartermaster 1st class. He was at the helm of the The Sullivans on May 11, 1945, during the Battle of Okinawa, when his ship rescued 166 sailors who had gone overboard from the aircraft carrier Bunker Hill after two Kamikazes smashed into it within 30 seconds of each other. The Sullivans returned to the United States for an overhaul in July 1945, and Mendonsa went home for 30 days of leave. He was on his way back to the ship and awaiting a train to the West Coast when the news of the Japanese surrender was announced. After the kiss in Times Square, the pair didn’t meet again until their identities were proven. They reunited in Times Square in 2012 to recreate the famous moment. 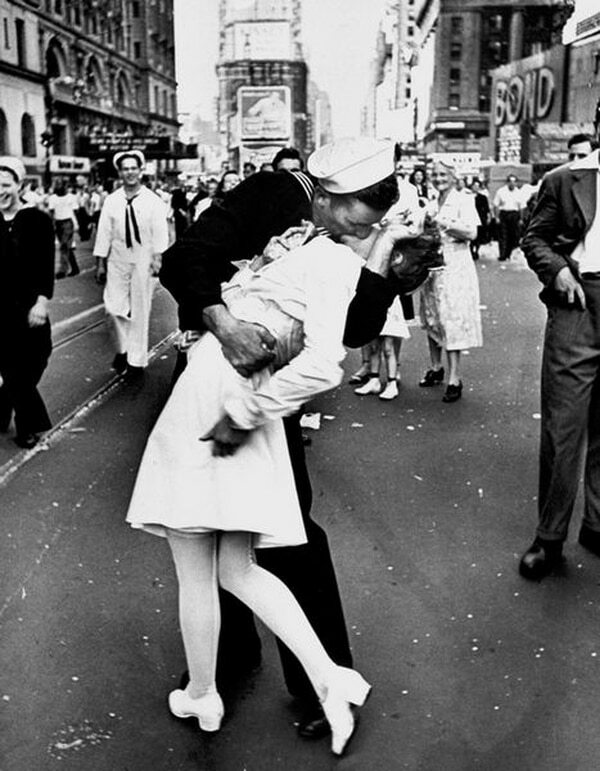 In recent years, bloggers and others critics have tried to use the VJ Day kiss as an example of sexual harassment or sexual assault, a stance Mendonsa and Friedman adamantly opposed.